Liverpool pay a visit to Burton Albion in the League Cup on Tuesday night as 15 Premier League sides enter the re-branded EFL Cup this week. 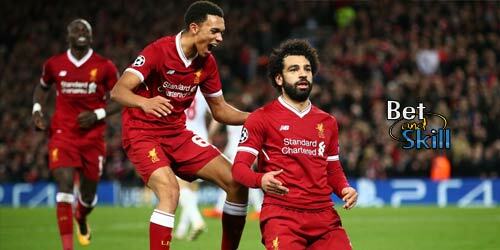 This article contains our Burton v Liverpool betting preview with predictions, expert tips, probable lineups, team news, enhanced odds, exclusive offers and no deposit bonuses on the match! Burton had a decent start in the 2nd tier of English football after enjoying two back to back promotions from lower divisions. The Brewers enter this match after a 2-2 draw with Blackburn and a 3-1 victory with Sheffield Wed in Championship. They have scored 12 goals in five games this season but have yet to keep a clean sheet. John Mousinho, the Burton skipper, will miss the high profile clash due to a hamstring injury that forced to him to leave the pitch last time out. Kyle McFadzean and Tom Flanagan have fully recovered and should start the match. Stuart Beavon is likely to play as central striker while Lloyd Dyer and Lucas Akins will start as offensive wingers. Liverpool come after a 2-0 defeat with Burnley in Premier League and a 4-3 victory with Arsenal in their seasonal debut. Prior to those matches, the Reds won five of their pre-season games, beating Huddersfield Town, Tranmere Rovers, Fleetwood Town and Wigan Athletic before a 4-0 demolition of Barcelona at Wembley. Joël Matip is fit and ready to make his competitive debut, but with Mamadou Sakho still sidelined one of Dejan Lovren or Ragnar Klavan will start. Youngsters Trent Alexander-Arnold and Marko Grujic could make their way into the starting eleven. Adam Lallana, Roberto Firmino and Divock origi are expected to spearhead the attack. Sadio Manè is a major doubt while he likes of Joe Gomez, Lucas Leiva, Loris Karius and Sheyi Ojo are all out through injury. Burton (4-3-3): McLaughlin; McCrory, Flanagan, Turner, McFadzean; Naylor, Williamson, O'Grady; Dyer, Akins, Beavon. Liverpool (4-3-3): Mignolet; Alexander-Arnold, Matip, Lovren, Moreno; Henderson, Can, Grujic; Lallana, Origi, Firmino. "Burton v Liverpool predictions, betting tips, lineups and free bets (EFL Cup - 23.8.2016)"